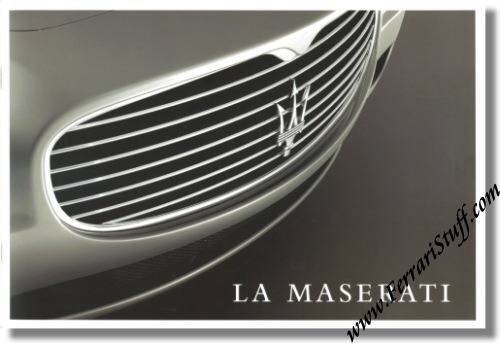 2004 La Maserati Company Profile Brochure. This 2004 version contains 26 inner pages with countless color photographs and cover the new Quattroporte, the updated Coupe and Spyder and the race-prepared Trofeo. It measures approximately 11 x 7.5 inches or 27 x 19 cm. Maserati print number 920001054, issued in 2004.